The nature of cyberattacks is such that defenders and attackers are locked in an arms race. Each party has incentives to innovate in response to the other’s advancements. 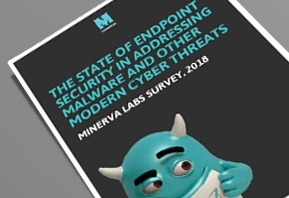 The Minerva Labs 'State of Endpoint Security 2018' survey unveils what 600 IT Security Professionals are challenged with when it comes to addressing malware and other modern cyber threats.